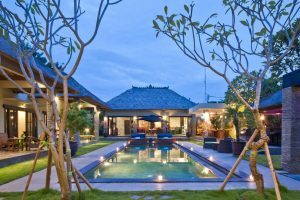 Villa Mahkota is strategically tucked away in Gang Keraton, off Jalan Raya Seminyak and in the heart of epervesent Seminyak. 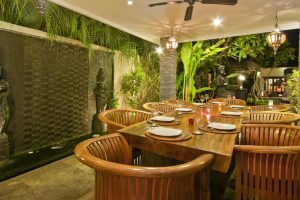 This fashionable location offers all that Seminyak is famous for; boutique shopping options, as well as numerous restaurants, spas, art galleries and nightclubs. 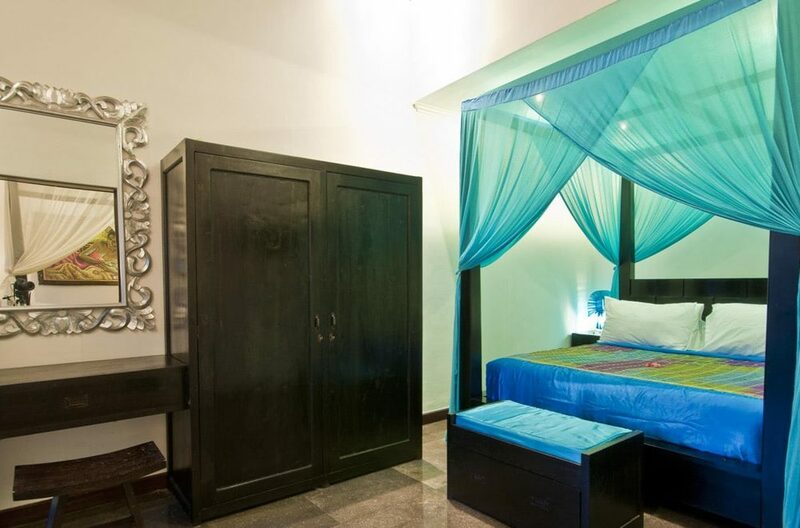 The beach is a short stroll away to experience the sun, surf and sand. 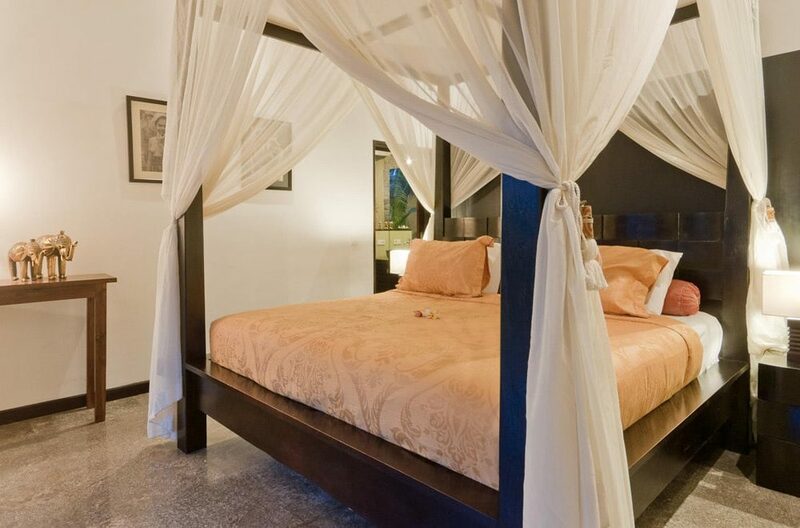 The villa offers it’s guests a bright, colourful and spacious array of differing living areas. Local artwork and ornaments are adorned throughout the villa. 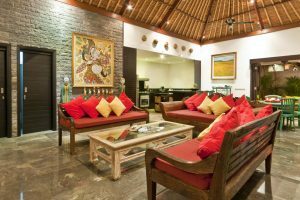 A large sofa is positioned around a large LCD television showing over 50 international channels, as well as having a DVD/CD player attached. 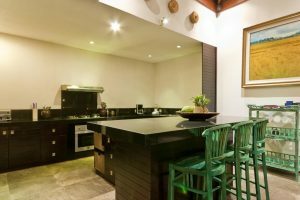 A solid timber dining table seats 8 guests and the fully equipped kitchen offers a gas stove, a microwave, a coffee maker, a juicer, a water dispenser and a fridge-freezer, as well as is well stocked with cutlery, china and glassware. 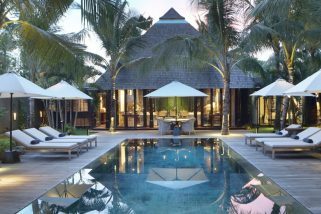 The calming fish pond, large BBQ with stools, infinity pool and ample sun lounges and other seating provide the perfect outdoor setting. 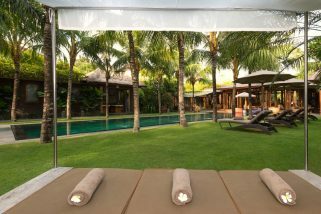 Buddha sits calmly under a frangipani tree bringing peace to this perfect outdoor area. 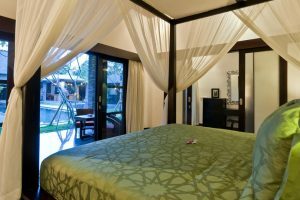 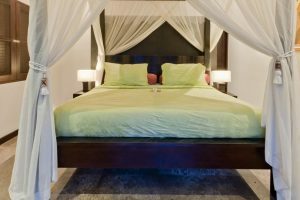 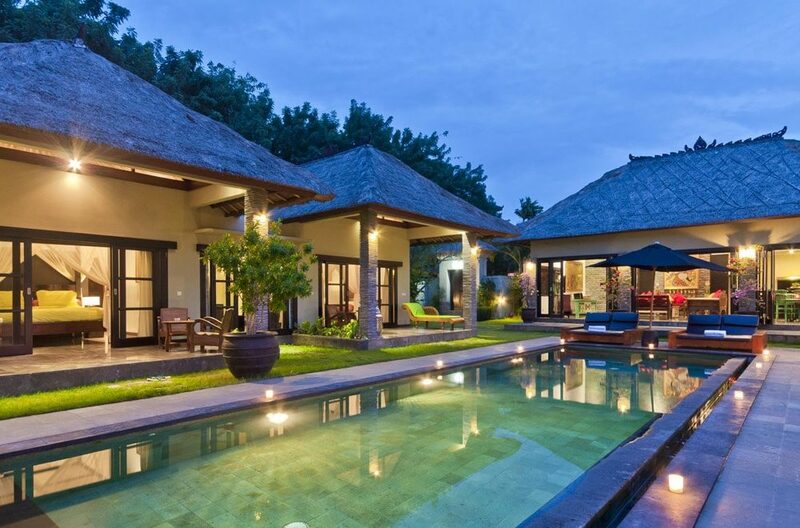 This villa can accommodate 10 people, having five bedrooms situated around two sides of the swimming pool, four of which are en-suite. 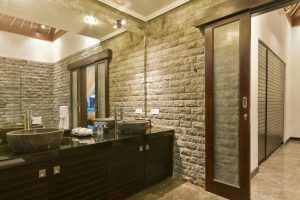 There is also a small television room between two bedrooms that can be made up as an extra bedroom on request. 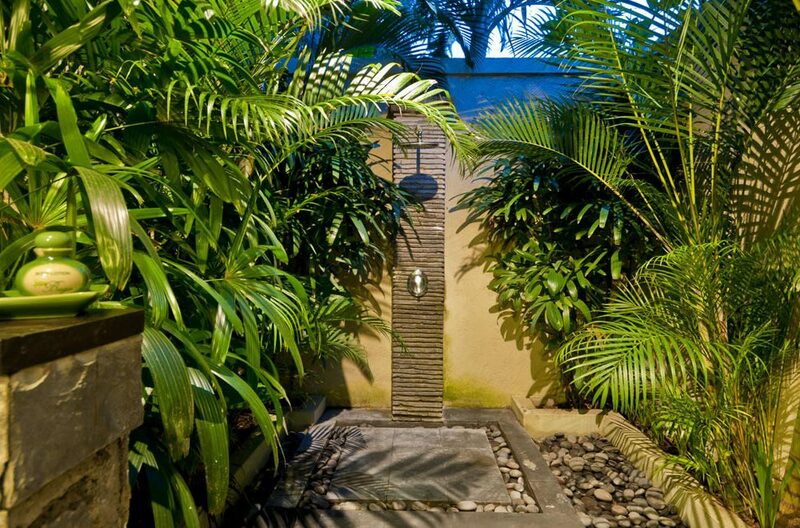 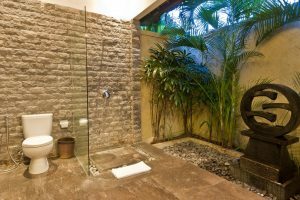 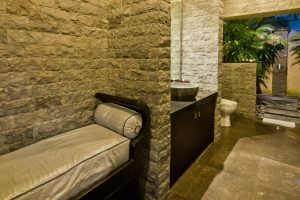 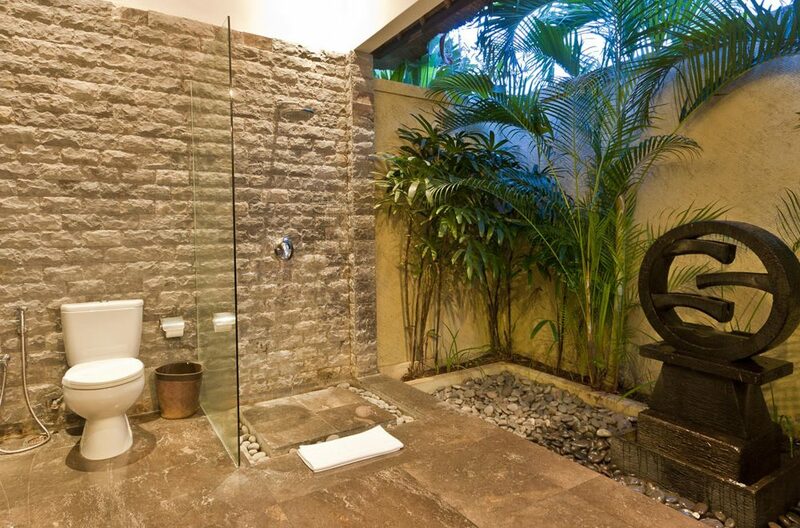 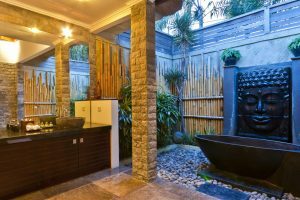 The en-suites are semi-outdoor, featuring a unique water feature in each. They are all equipped with a shower, with one of them also including a bathtub. 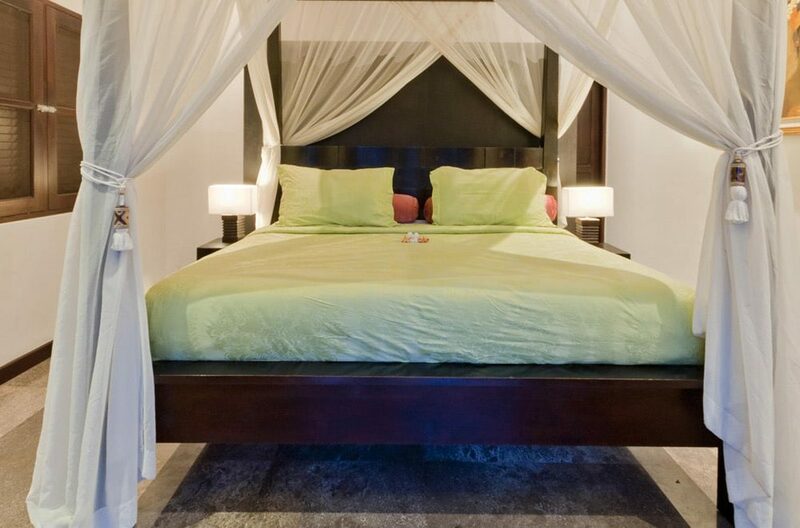 Villa staff pride themselves on delivering service that is warm and attentive. 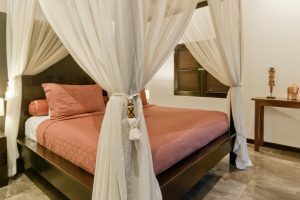 Housekeeping and villa maintenance are pleased to serve and maintain a well-run household providing support delivered with grace and tradition. 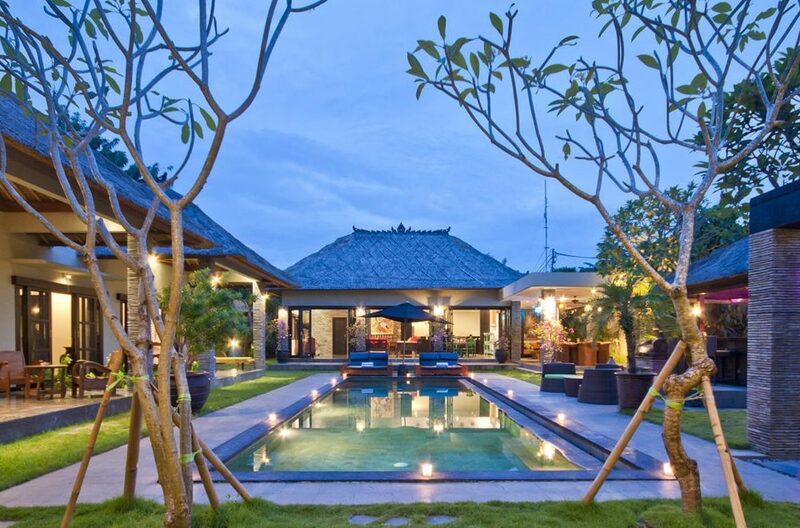 Villa Mahkota’s manager and team are more than happy to address any questions or inquiries guests may have in order to ensure your stay with us as smooth and enjoyable as possible. 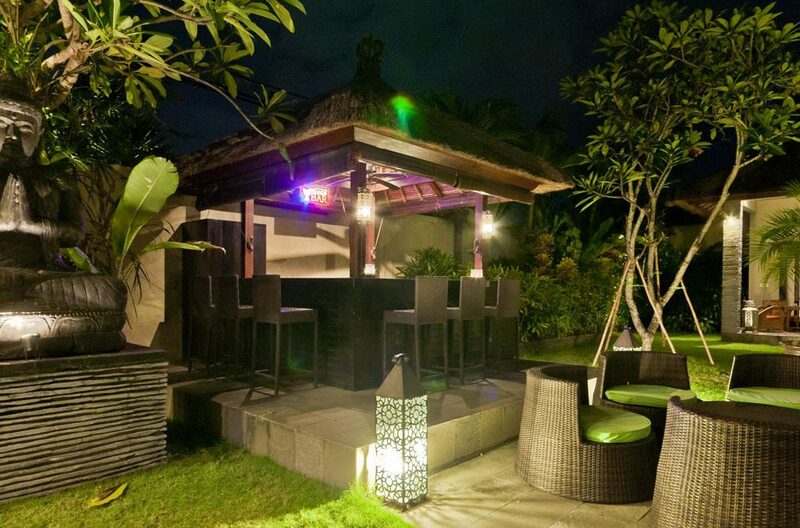 Situated only a short stroll from the beach, it is easy to enjoy the famous sunsets from the range of beachside bars. 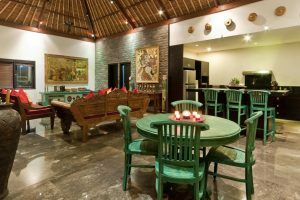 For those seeking big waves, surfers can travel a mere 10-15 minute drive north to the challenging surf beaches at Canggu. 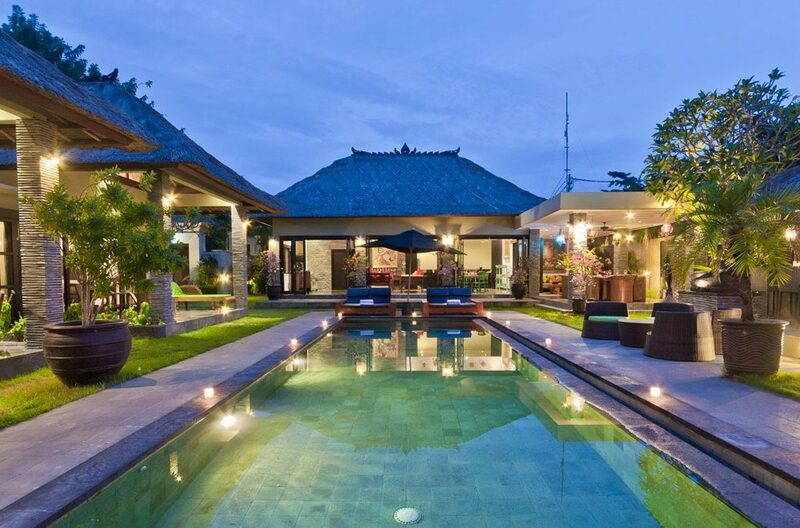 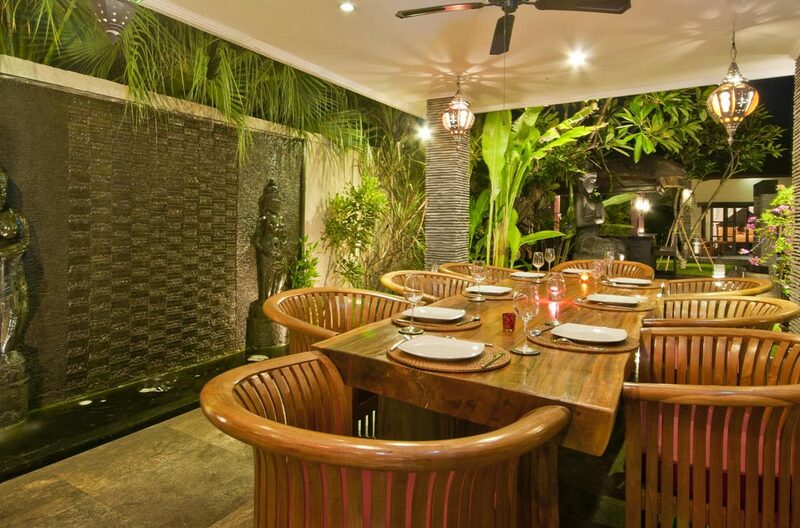 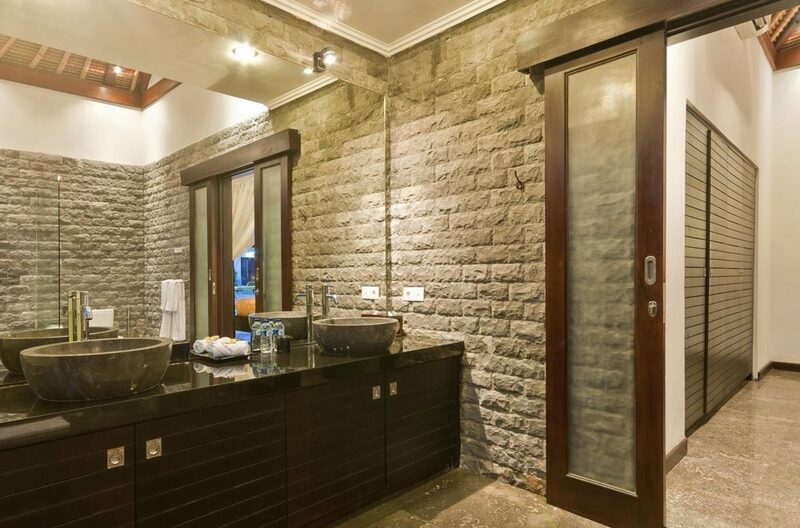 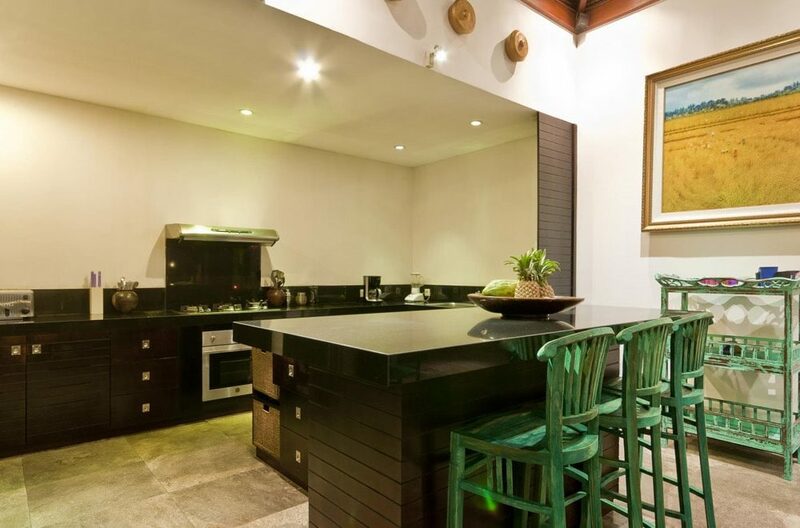 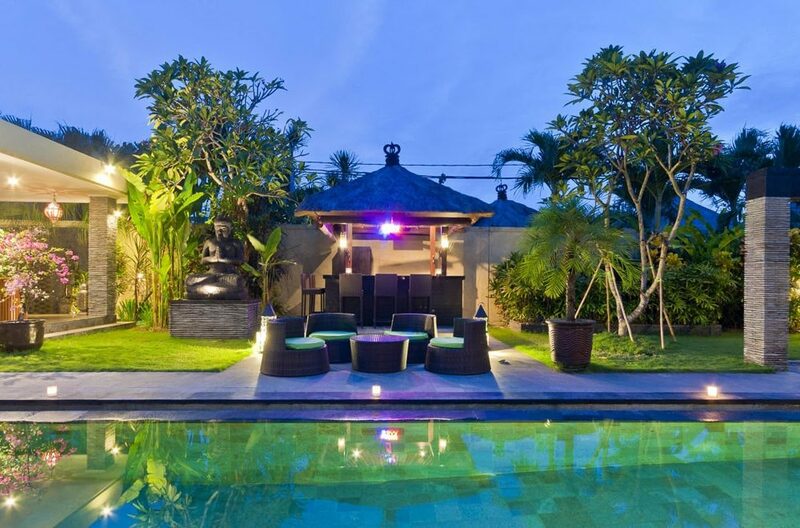 3 bedroom in top Seminyak locale, Lush Gardens, privacy, 100m from shops, restaurants and nightlife. 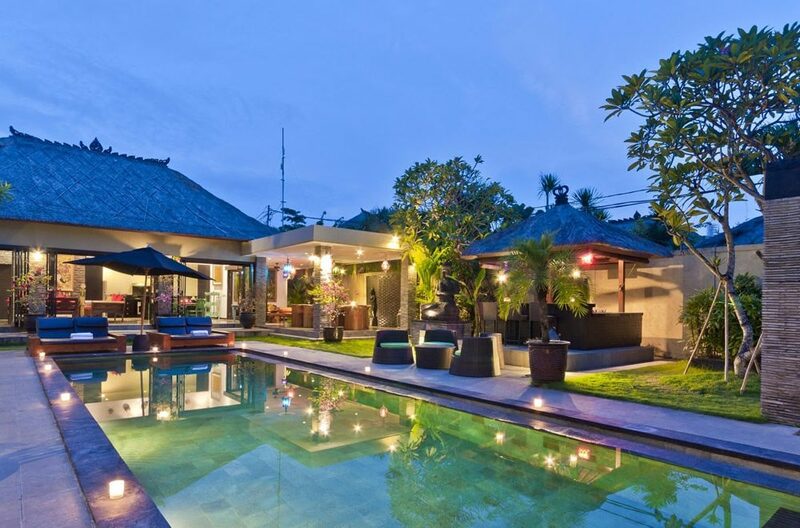 Villa Siki is one of the many villas in the bustling district of Seminyak - a neighbor to another villa (Villa Kalih), a good deal of commercial establishments, a beach and other lovely attractions, it is a fair choice to be for people wanting a delightful holiday. 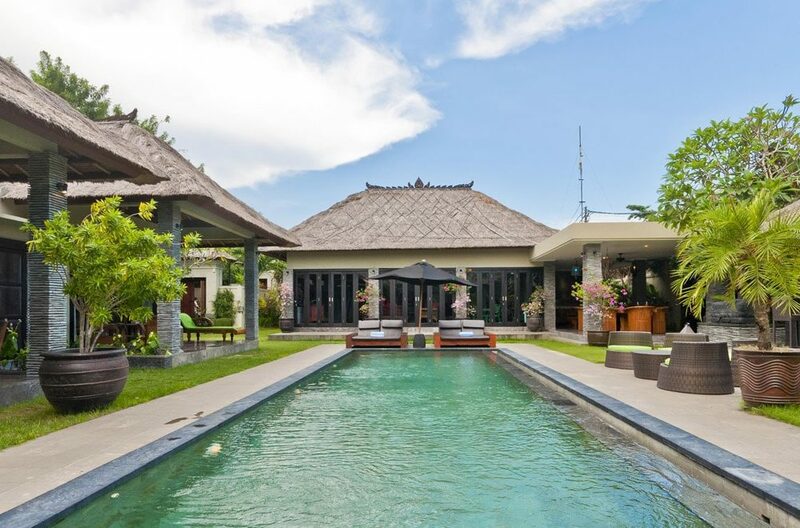 Shambala villa is designed in classic Balinese architecture, with ocean views on the sunset western side, and open living commanding breezes from the surrounding rice fields.